How to turn pages - WITHOUT throwing your music on the floor. We've all been there - either a long piece with multiple pages or even a shorter piece with bad editing so that the page turn arrives at the most inconvenient moment. How does one turn that page without running the serious risk of the music ending up on the floor? This is quite a luxury for some and you need to find a good one. Someone who instinctively knows when is the best moment to turn the page and also won't get in your way. Here's a little know fact. In ABRSM exams, although candidates are not allowed to bring a page turner into the exam, the accompanist of a grade 8 or ARSM exam MAY do so. The making or use of photocopies of copyright works is not permitted. Application should be made to the copyright holder before any copy is made. It is the Applicant’s responsibility to ensure that candidates act within the law with respect to the making and use of photocopies. ABRSM reserves the right to withhold the exam result of any candidate where it has evidence of the use of an illegal copy in connection with that exam. This all seems a bit of a hassle, writing for special permission to copy one sheet for a page turn. If you can do it, this is the ultimate solution and in many ways better for the music itself. I personally performed all my exams from memory, it helped to get more involved with the music rather than be distracted by the notes. If memorizing a whole piece is too challenging, I have a few students now, who memorize just the first or last page of a three page piece. You could even just memorize a few bars and turn the page at a more convenient moment. This is quite an effective method and I use it all the time when accompanying for exams where I haven't had the time to memorize the piece. Also many of the videos I have put on YouTube of exam pieces use dog-eared pages. You need to be careful though, to remember to re-fold the corner of each page everytime before a performance, as a flat dog-ear isn't as easy to get hold of. Another variation I have heard of is using mini post-it notes on the bottom corner of each page, but these need to be staggered if you have more than one turn, otherwise you might end up grabbing two at a time. More recently music has been available in digital form where you can store entire an library on your ipad for example. With this it is easier to swipe a single page without the risk of picking up two pages at a time, or worse still throwing your music on the floor. 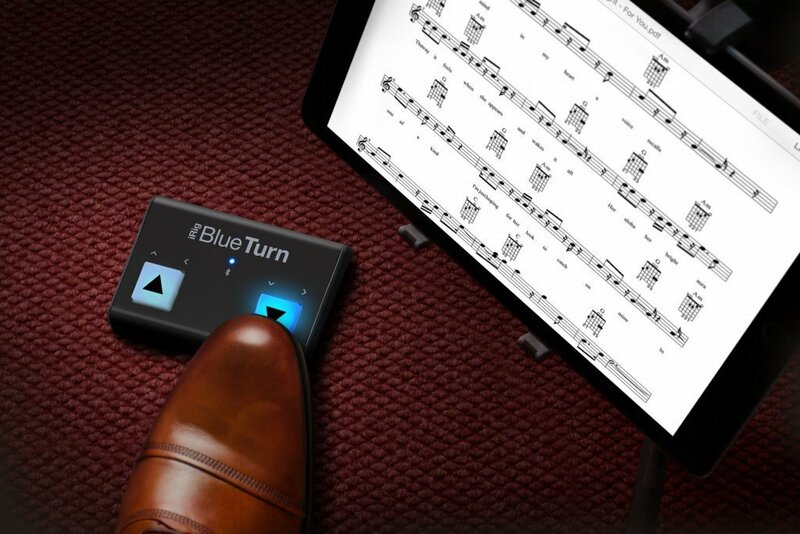 Further still there are now hands free devices like "Blue Turn" which connect to your tablet through bluetooth. Let me know in the comments below - what methods you have used or if you have any horror stories of page turn fails.